All this hype about Shakeology, what is it? Made to be a meal replacement or healthy snack alternative, Shakeology is packed with proteins and energy-providing carbohydrates, plus a combination of nutrients that are essential to the body’s well being. The high Fiber, prebiotics, and digestive enzymes help your body gently eliminate toxins more efficiently and promote better absorption of nutrients. Primary source of protein in Shakeology is from whey. You can always add a scoop of P90x Whey Protein for the additional boost, especially for after a P90X or INSANITY session. 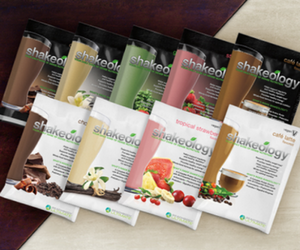 Click here to learn more about Shakeology ingredients. and best of all, Tastes delicious, too. I first tried the Greenberry as I was feeling adventurous; the green on the package made me skeptical of how it’s going to taste, but hey, it’s green, it must be good for you… I added the water, a little OJ, blended it up, and was pleasantly surprised. It was sweet, but not too sweet, since it’s sweetened with fructose (a natural sugar found in fruit and some vegetables) I don’t have to worry about my sugar level spiking because of the low Glycemic index. Another thing I was surprised at was it really did curb my hunger, too, which I was also skeptical about, so it ended up replacing my dinner for that night. 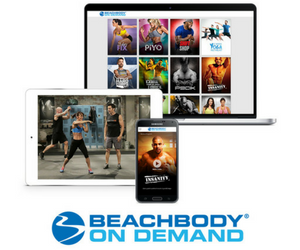 Though Shakeology is a meal replacement, it not recommended that you replace more than 2 meals a day. it is still important that you continue following your p90x nutrition plan and consume regular healthy meals. You should still always eat your veggies daily, as nothing compares to getting nutrients from whole fresh fruits and vegetables. Not wanting to munch on carrots or celery? Skip the cravings for a mocha, cookie, or soda, treat yourself to a shake, as Shakeology is definitely the best second option! I usually have my Shakeology at 3pm, it gives me the energy and fills my body with the nutrients, so I’m more than ready by the time I hit the gym or my P90X after work.